If you own or manage a multi-family dwelling or apartment building, the prospect of adding recycling collection service can be a daunting one. You may have questions about compliance, cost, containers and many other concerns. 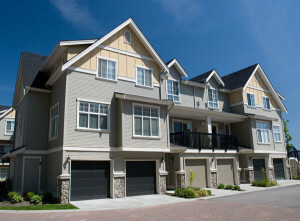 Collection is a mandate for multi-family residential dwellings of five units or more. Find out more about Mandatory Commercial Recycling and Commercial Organics Recycling. For simple steps, check out the Massachusetts Department of Environmental Protection’s handout: Setting up a Multi-Family or Apartment Building Recycling Program: A Seven Step Guide. For a more in-depth walkthrough of how to set up a recycling system, complete with a sample letter for residents and signs for recycling containers, check out the Toolkit for Apartment Managers and Owners by the city of Lincoln, Nebraska. Learn about successful multi-family recycling programs in this report from the United States Environmental Protection Agency. Go to StopWaste.org to read their best practices for multi-family apartment recycling.